The Sky Dive Lounge offers 3 Ball billiards pool tournaments every Wednesday, Thursday, and Sunday starting at 3:00pm PST. A great game for all skill levels and perfect for beginners who want to play a fun game and polish their pool playing skills. 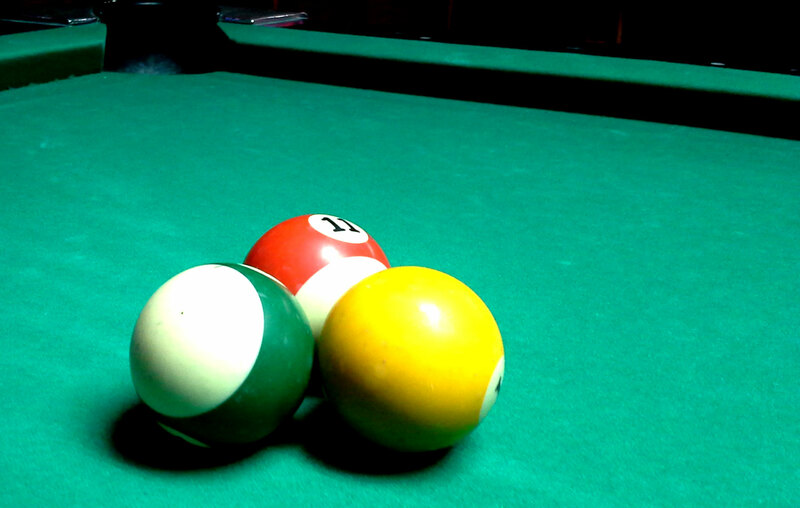 Playing three ball is easy, your rack three pool balls on the regular rack spot and break from the other end of the table, who ever can sink all three balls in the shortest amounts stokes wins the pot. All of the games has a minimum of 4 players and played until the amount of player begin to dwindle away some tournaments have been known to last a minimum of 3 hours all the way up to closing time. If you are a Riverside, California resident and are interested in Billiards pool the Sky Dive Lounge welcomes all players to join in.